November 26, 2013 0 comments on "Steelcase Launches Revolutionary Gesture Chair"
In a classy and suave launch on 22nd November in Mumbai, News I Like witnessed Steelcase unveil the Gesture chair, the world’s first ergonomic office chair designed to support one’s interactions with today’s technologies. Gesture was inspired by studying movements of the human body and created for the ways people work today. India is part of Steelcase’s global launch of Gesture, and represents a market with massive potential. reveals how new technologies and new workplace behaviours have led to nine new postures — The Draw, The Multi Device, The Text, The Cocoon, The Swipe, The Smart Lean, The Trance, The Take it In and The Strunch – not supported by current office chairs — which frequently cause pain and long-term injuries, disrupting concentration and creativity. 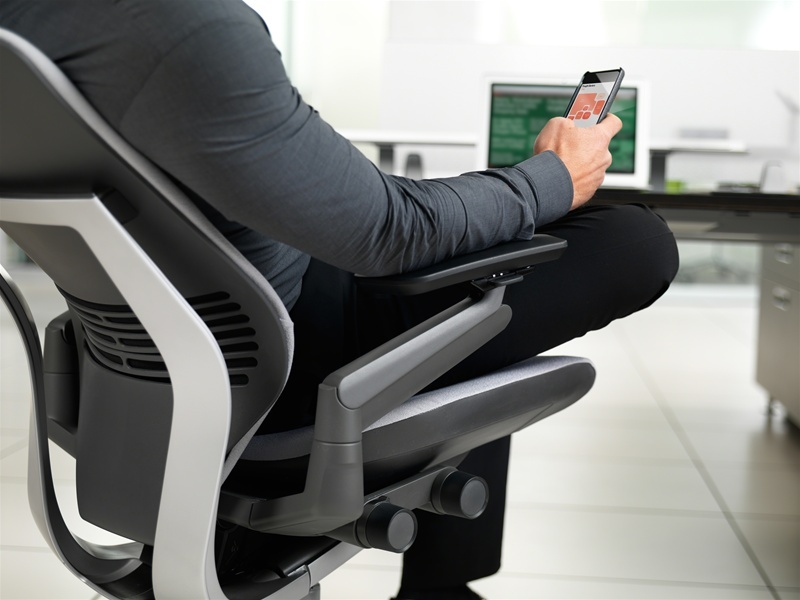 Gesture is designed in response to Steelcase’s global research about changing postures in the workplace. created to help people hold one pose in front of a computer all day. Now we know that people need to move and change positions regularly, especially as they engage with new technologies. We observed people in pain — they need a sitting experience designed for the ways we work today,” continued Ludwig. At the bloggers meet following the launch in Mumbai, News I Like interacted with one of the official spokesperson for the company who gave us useful insights on the product. He categorized the inspiration for design into three main observations from Steecase’s global study – physiology, sociology and technology. He also spoke about Steelcase’s ICWA approach to solving work space issues. There are 4 types of spaces in working environments – I own (for example, Vice Presidents or CEOs having cabins), I share (people in shifts at call centres), we share (cafe’s and collaborative work spaces), We own (project teams conduct meetings in pre booked areas). Steelcase, with its superior products and revolutionary research driven technology, aims to resolve painful postures in all 4 scenarios. Steelcase has established 3 WorkLife Centres in India – the company’s flagship showrooms in New Delhi, Bangalore and Hyderabad. Steelcase will be soon inaugurating its 4th Worklife Centre in Mumbai. Earlier in April 2013, the company started its first manufacturing facility in India spread across 50,000 square feet at Chakkan, Pune.